Friends, this past weekend was the last big wedding of the season for me, and it ended with a bang! 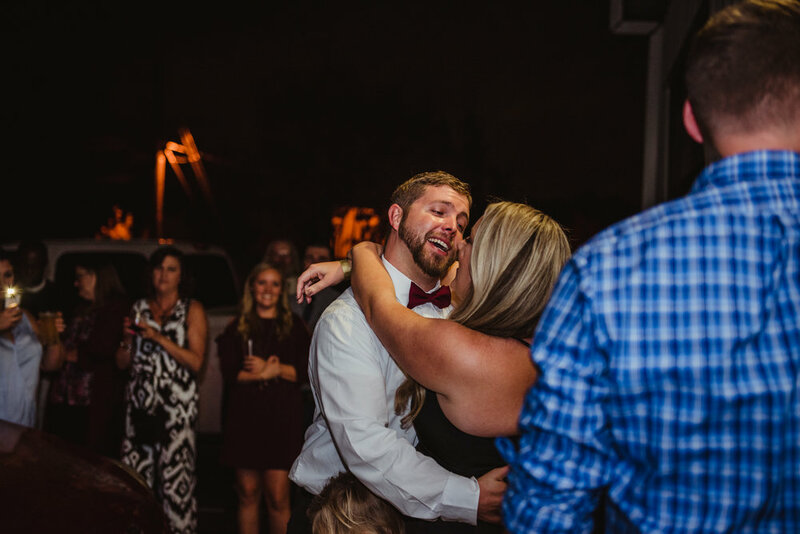 Ashley and Chris got married at the courthouse on Halloween in a super private ceremony with them and their three kiddos. However... they still wanted to celebrate with everyone! So this past Saturday, on November 4th, they had the most gorgeous wedding reception! 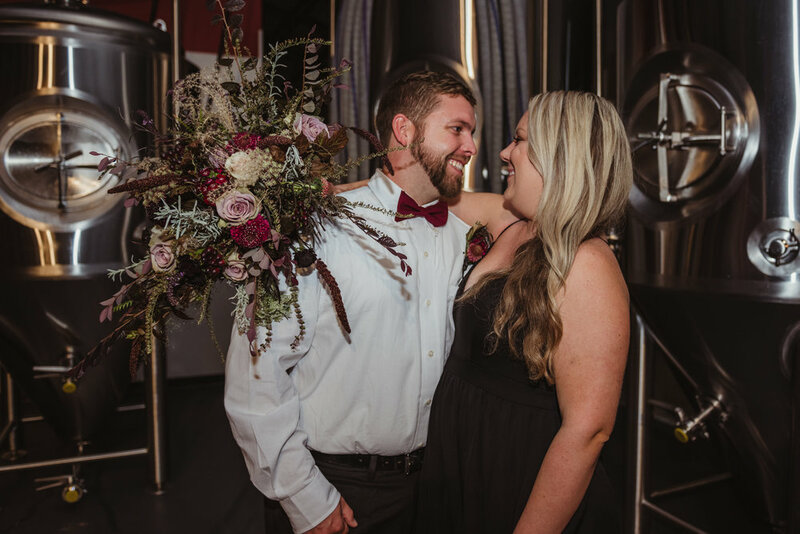 The evening, hosted by Compass Rose Brewery, was an intimate gathering of friends and family. The space was decorated in black, gold, burgundy, and cranberry, with corks for the guests to write well wishes, a plate to sign instead of a guest book, and shots of Jack Daniels to take home as favors. The flowers, created by Brandi's Botanicals, were absolutely stunning, and fit the Halloween/Foraged Fall theme perfectly! 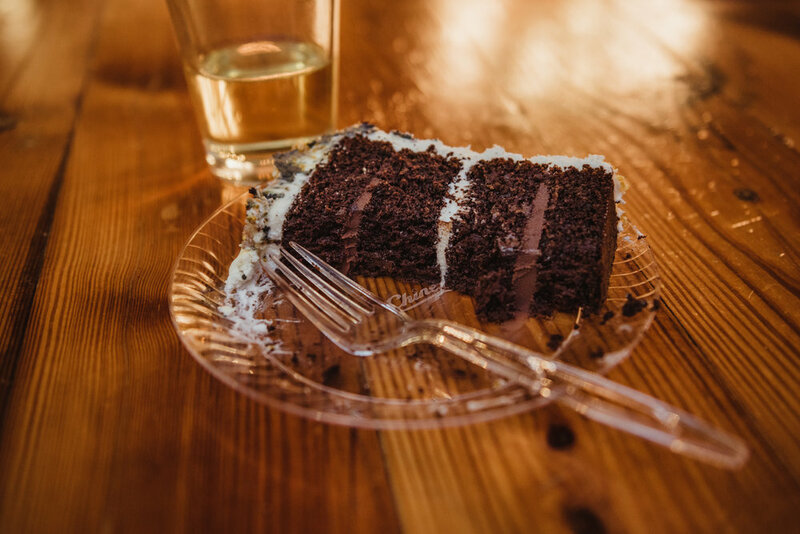 The cake was created by Love Cake and was so insanely yummy, as well as gorgeous! There were so many unique aspects of the night that made it all super fun! 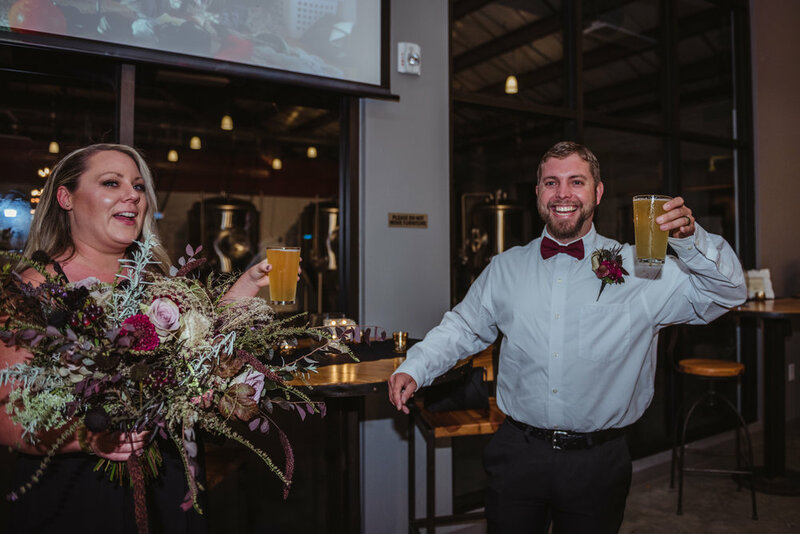 Before the bride and groom walked in, everyone in the brewery was watching the Clemson/NC State Game (sorry Wolfpack fans). When the game was over, the bride and groom walked in to full beers and cheered with their family! 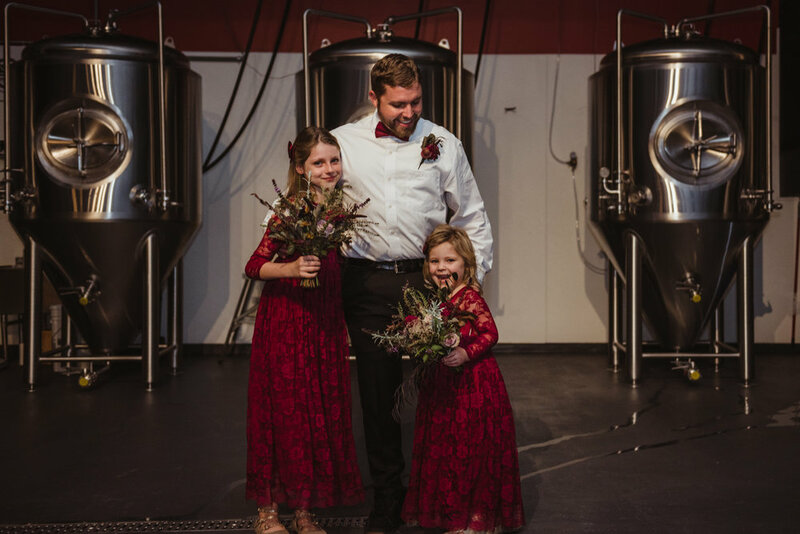 We took family portraits in the brewing room with the vats, which was super cool. And the first dance was done outside, complete with headlights, a kiddo hug that lasted the whole dance, and a lot of Bob Marley. There was corn hole, BBQ, and lots of beers flowing. It was a PERFECT night had by all! Ashley and Chris, I wish you nothing but the best!!! Thank you for letting me be a part of such a fun and intimate celebration! Congratulations to the five of you, and I hope to see you all again soon!